Hiking in nature has been shown to boost the immune system, increase energy levels, and even improve sleep. It strengthens the body, heals the soul, and challenges the mind to push on and bravely face one’s fears of heading into the unknown. 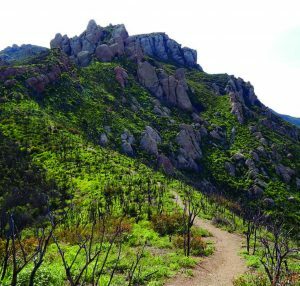 We are so lucky to live in Southern California, where there are countless trails to hike all year long. It’s easy to find some to fit your current fitness level. So step away from your computer, stretch your legs, and experience nature’s breathtaking sights. Hiking is a present from Mother Nature. It also forces us to be present in her beauty. There are so many things happening around us most of the time that it’s often hard to focus on just one. 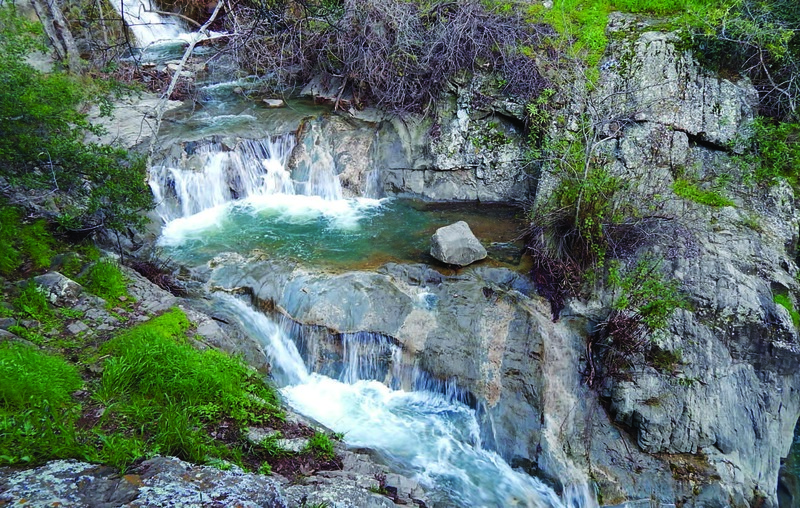 It’s easy to stay in the moment when faced with the warm smell of sage or soothing sounds of a cascading waterfall. 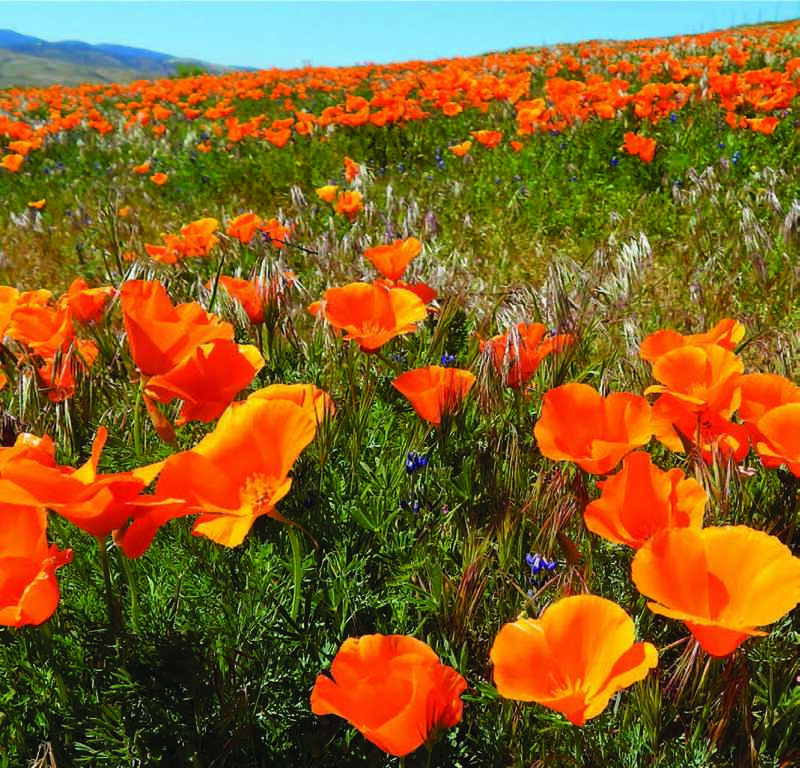 We’re especially fortunate this spring, when lush rains brought a super bloom of brilliant wildflowers transforming Southern California’s barren hillsides into heavenly green gardens bursting with color. If you’d rather hear the wind whisper and birds sing than your own voice, consider hiking solo. You can always talk to the trees. Pack light but at least bring water, keys, and a cell phone. And remember, for safety’s sake always tell someone what path you’re on. Although nature is fleeting, photos can last a lifetime. Bring a camera and savor some of the special moments of your hike, such as that colorful butterfly posing for her close-up or the shy gecko pausing for a moment before disappearing forever into the brush. Share memories later with family and friends or post your favorites to social media. The most important thing to remember is to always bring plenty of water. Don’t get caught hiking under the warm Southern California sun without it. Just make sure at least half your water remains to quench your thirst on the journey back. It’s bonding to hike with family and friends. And by all means, bring the dog. Blaze new trails together or share your favorite jaunts. You’ll feel much closer for it. When you begin to feel buried under a mountain of “to-do” lists and pressures, head for the hills. A hike helps put this crazy world into perspective. It gets you out of your head and into a deeper sense of reality. It’s like taking a walking meditation with eyes open wide. Hiking in nature will help you feel grounded and calm. It has even been shown to lower stress and increase such feel-good hormones as serotonin and endorphins. Plus, there are few better ways to burn off calories. If you haven’t hiked in awhile, or at all, start small. Here are some great possibilities. See you on the trails!